Francis Street is famous with antique shops for almost 30 years. Tom’s Curios Antiques is one of them. Thomas Dempsey is the owner of the shop with his wife Ann. Between the high-brow antique shops, Tom’s Curios Antiques is noticeable. It is a modest, shadowy, pleasant place and offers a journey through time. “It has been 37 years since we started to do this business. We came back from England in 1981 and couldn’t get a job, so we started to market all around the country. It was a hard work, get up in the morning at 4 o’clock, drive all the way down, get back home at 9 o’clock that night but it was enjoyable. We got older and now we have this shop.” said Thomas Dempsey. Thomas was a chef before he got into the antique business. “I didn’t like that business but antiques…There are good days and bad days. I am happy what I am doing.” he said. Thomas’s shop is filled with boxes. There is no fancy showcase and it makes you feel good. “Lots of people on the street are only doing it for hobby. It is just a hobby to them. It is not a hobby, this is my livelihood” Thomas said. He shows a table. There are bibelots and other antiques on it. It is a gorgeous, handmade table which is 100 years old and looks like only made yesterday. 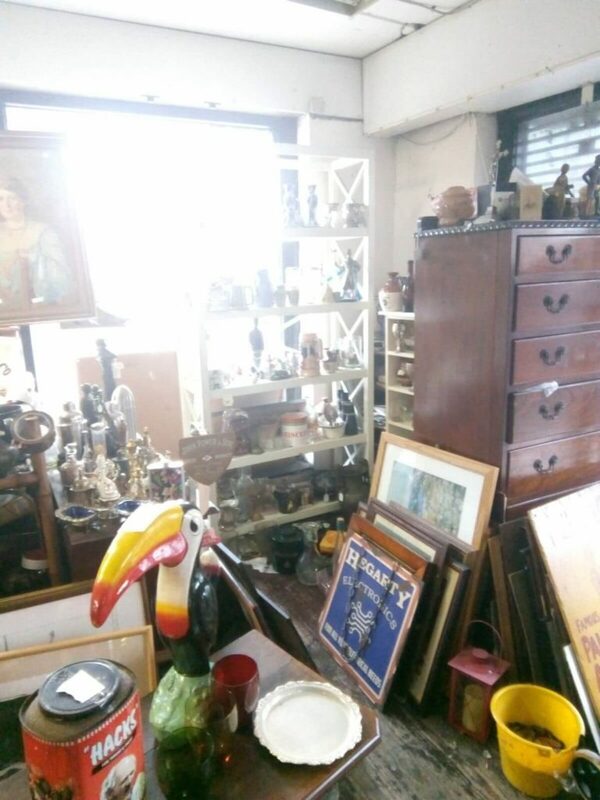 It must be tricky finding antique pieces. 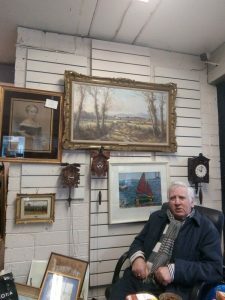 “Auctions are charging 25 percent for buying and 25 percent for selling so I go around Ireland. People are moving in to apartments, leaving their houses, and a lot of people have the knowledge about antiques. They send me photographs. If it worths to travel, I go and buy it.” he said. Nowadays, people are buying modern pieces from stores. Those furnitures don’t have any value but suit our modern life style. People start to live in small apartments rather than houses. So, the handmade furnitures became more valuable and an intelligent investment. 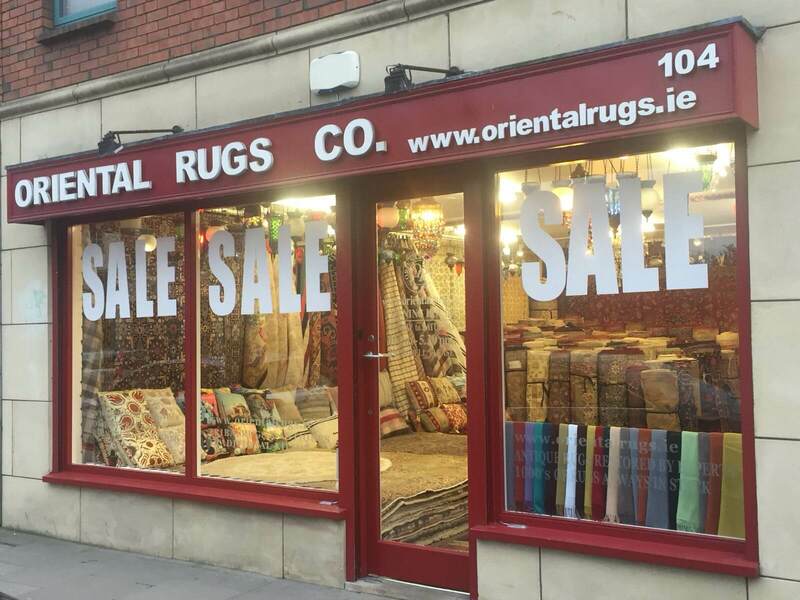 Finally, you could spend hours in Francis Street with discovering more about antiques’ impressive world and take inspiration from it.